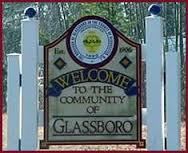 Plumbing, Heating and Drain Cleaning Services in Glassboro, NJ. Waking up to a freezing indoor temperature or a burst pipe in the closet is one of the worst feelings in the world. Around the clock care for all of your plumbing, heating, drain cleaning, and emergency maintenance needs are services our technicians provide in the Glassboro, New Jersey area. Not only do we go out of our way to perform quick service, our guys make sure that they go above and beyond to care for your home in every way possible. An issue with a water pipe is complicated and requires the help of a professional to make sure that your home is damaged as little as possible. If you have a leaky faucet, clogged toilet or drain, or need material replacement simply give us a call. We do all of the hard work for you and make sure that you’re safe from wasting resources or water damage. A heater that is struggling to maintain the right temperature or not working at all creates discomfort and wastes resources. Our technicians can diagnose problems in your appliances, perform a tune-up or repair, and take care of replacement installation when the time comes. There is no reason to suffer through a cold winter with such a valuable team dedicated to helping you. A simple clog could be cleared with a plunger, snake, or over-the-counter chemicals. Unfortunately, this can become a major problem later on that requires professional drain clearing services. We can get your water flowing properly again by removing buildup and any foreign items that are obstructing your pipes. Here is a list of a few of the many drain cleaning services we provide. It is stressful for anyone to discover a major clog, water leak, or HVAC problem arise out of nowhere. This is the reason we make ourselves available no matter when your emergency may happen so that it can be handled in a timely manner. Keep our contact information nearby and rest assured that you will be made a high priority in your time of need. Most homeowners do not know much about fixing a problem with their water heater, other than adjusting the temperature setting. Leave it to us to take care of regular inspections so that repairs can be completed early. If there is an issue, we take care of repairs, tune-ups, and new product installation if your hot water heater is too old to salvage. Get in touch with us by calling 856-430-8452 or fill out the contact form so that we can serve all of your household needs. Our friendly technicians look forward to adding you to our growing family of clients.